This event is now fully booked but if you would like to be added to the waiting list please contact Laura Southerland on laura.southerland@city.ac.uk. Following from the visit City will host a visit from senior officials from Tokyo Metropolitan Government and Tokyo Metropolitan University. As part of their visit, Yuriko Koike, the first female Governor of Tokyo and Dr. Haruo Shimada, Chairperson of the Board of Trustees have kindly agreed to give a talk. Dr. Haruo Shimada will speak about the history of mutual co-operation between Japan and the UK and the importance of cooperation between our respective capital cities. This is an opportunity to hear from and put questions to two prominent leaders from Japan. It is also a chance to learn about some of the emerging educational and employment opportunities in Tokyo. 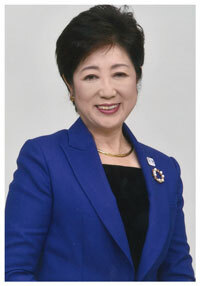 Prior to being elected to the post, Governor Koike was active in national politics. She was a member of the House of Councillors and the House of Representatives for a total of 24 years from 1992, during which she has held major posts including Minister of the Environment, Minister of State for Okinawa and Northern Territories Affairs, Special Advisor to the Prime Minister for National Security Affairs, Minister of Defense, and Director of the Committee on Budget of the House of Representatives. As the first woman to serve as the Minister of Defense and the Governor of Tokyo, she is paving the way for women to be more active in society. With a BA in Sociology from Cairo University, she is fluent in English and Arabic, and was a prominent news anchor before entering politics. 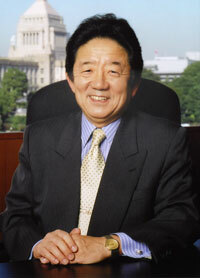 Dr. Haruo Shimada, Chairperson of the Board of Trustees of Tokyo Metropolitan University. Dr Shimada served nearly 10 years as president at Chiba University of Commerce until September 2016.After completing his graduate studies at Keio University he received his Ph. D. from the University of Wisconsin-Madison, and for forty years was a professor at Keio University. He has been a visiting professor at the Massachusetts Institute of Technology and ESSEC, France. He also served as chairman of the Economic Research Center Fujitsu Research Institute from April 2004 to March 2008. He was involved in the formulation of government policy as a special advisor to the Cabinet Office from 2001 to 2006. He is the author of numerous books on the Japanese economy, international relations and labour issues as well as a commentator and essayist for newspapers and popular magazines. He is a frequent TV commentator both in Japan as well as on networks such as CNN, NBC, ABC, CBS and BBC.